An elegant floral post earring! 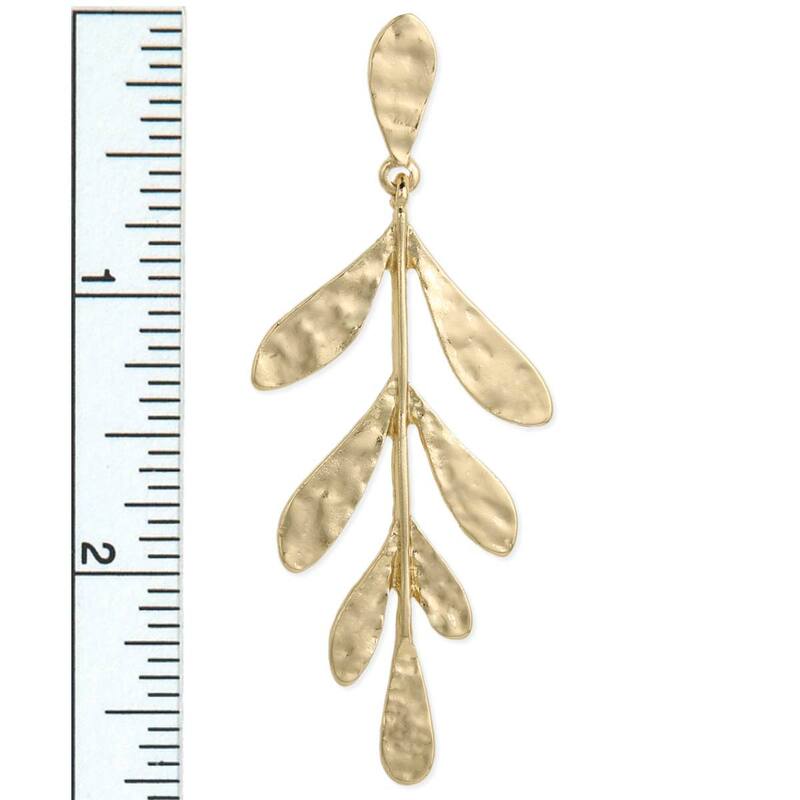 Gold metal hammered fern leaves dangle from teardrop post earring. 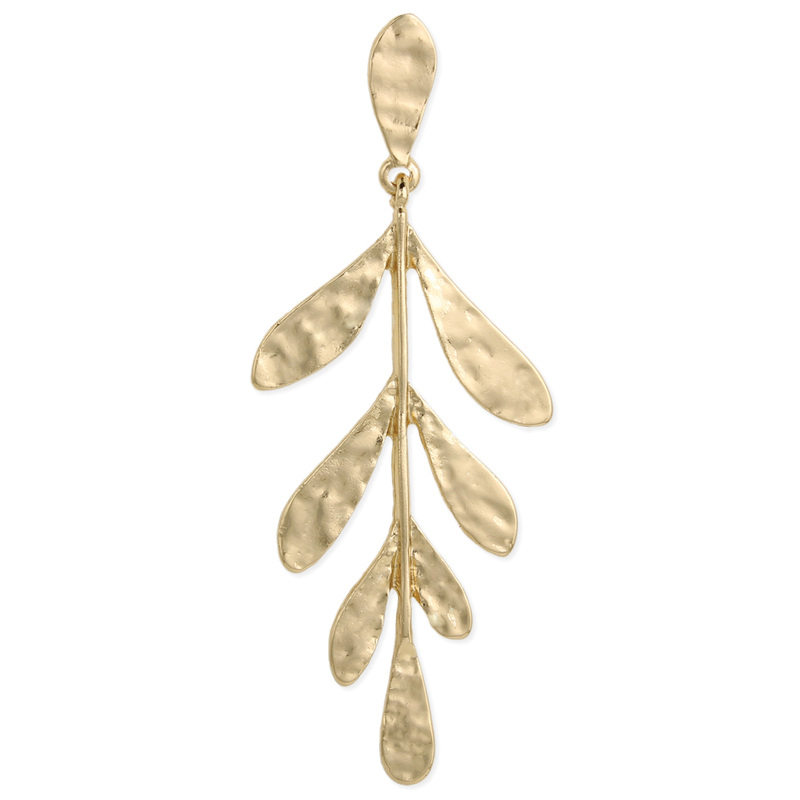 The hammered gold metal gives this earring a natural feel. Measurements (approx.) 1" x 2 3/4"